Finally mines! 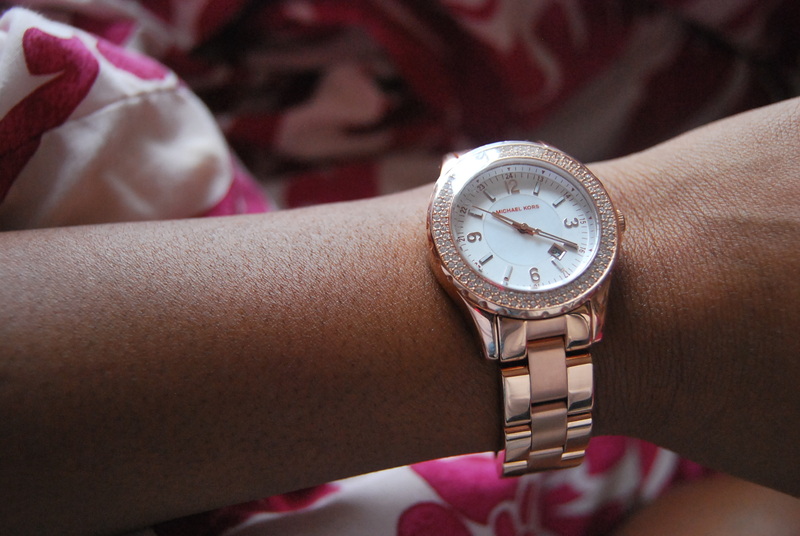 -Rose Gold Michael Kors Watch. The saying “if its meant to be, it will be” couldn’t be more right. Ever since, I don’t know how long (probably because i didn’t have a watch to tell the time- lmao), I’ve been waiting for my watch. I mean how long is a girl supposed to wait for such a beauty, that is a Michael Kors; and its rose gold.Nevertheless I am forever grateful (thanks milz) and thank God for having such fantastic friends; who just so happen to have perks at work. 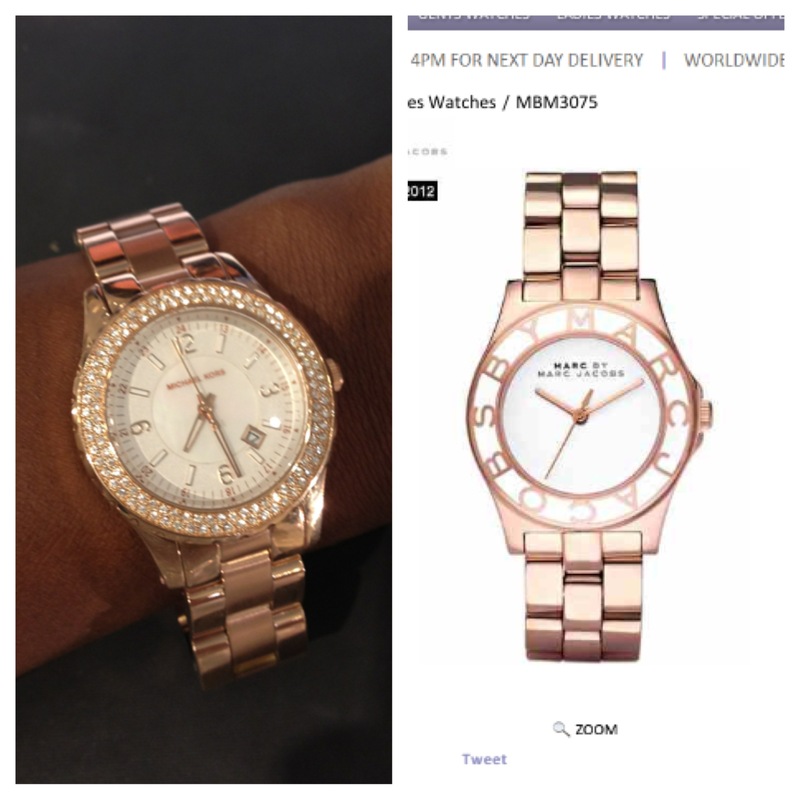 At the very start I decided i wanted a Marc Jacobs watch and set my heart on a rose gold one, then as collections came and went, I fell for the Michael Kors. 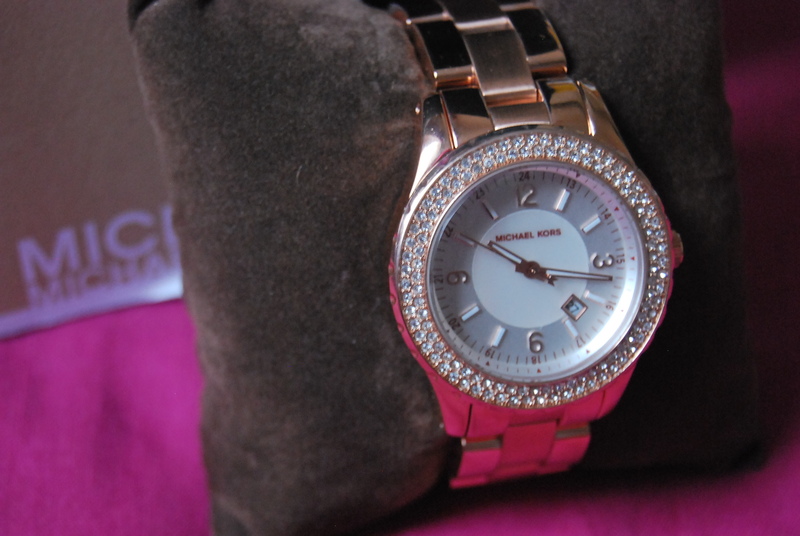 Admittedly I was never keen on the Kors watches, because everybody had one and im just not that kind of girl. But then my Marc never showed again and the new Michael Kors collection graced us with its presence, so i went for it. Before i missed the opportunity again. Even though it may be common brand, this particular one is mine. And its perfect; the watch face it small enough, there are a few numbers so i don’t get too confused (hehe), its pretty, its glamorous, its rose gold and last but not least, it has just the right amount of ‘bling’ to be fabulous and not too over done. What do you think? MK or Mj? what would you have chosen?